Was very excited to receive my Smart Controller. Upon open the package, the first thing I did, before chargeing it, was to put it in my fly more shoulder bag to see how it fit. Well it did fit, after removing all other stuff. To my big big surprise, when I took it out of the bag, there was big, ugly hole on the controller front, the 5D button was missing! Feeling astonished, I finally found it in the bag, and was able to insert the thing back into the hole, but is it working？ I don&apos;t bother to try. Called support, and was told it is normal and the 5D button is user detachable. Really? That&apos;s not the case with the 5D button on my original controller that came with Mavic 2 Pro. And as I can turn it around easily, pull it out again easily, how it stay connected? I went online and chat with another support and was told to send it back. However, even though I explained clearly it was Smart Controller, the shipping label sent to me states it is mavic 2 pro controller, costs $379 instead of $650 for Smart Controller. It is weekend I can&apos;t reach anyone in DJI support. I need the new controller for my month long trip starting Feb 5th, I&apos;m afraid I&apos;m not able to receive it by then. Feeling extremely frustrated with DJI quality control and DJI support! Hi there, we&apos;re sorry for the inconvenience. Could you tell us the case number and your phone number when you contacted our support? Also, please kindly offer the controller SN, we&apos;ll double check with our engineers and help you out. Note, the case number was not created during the phone call to DJI support. 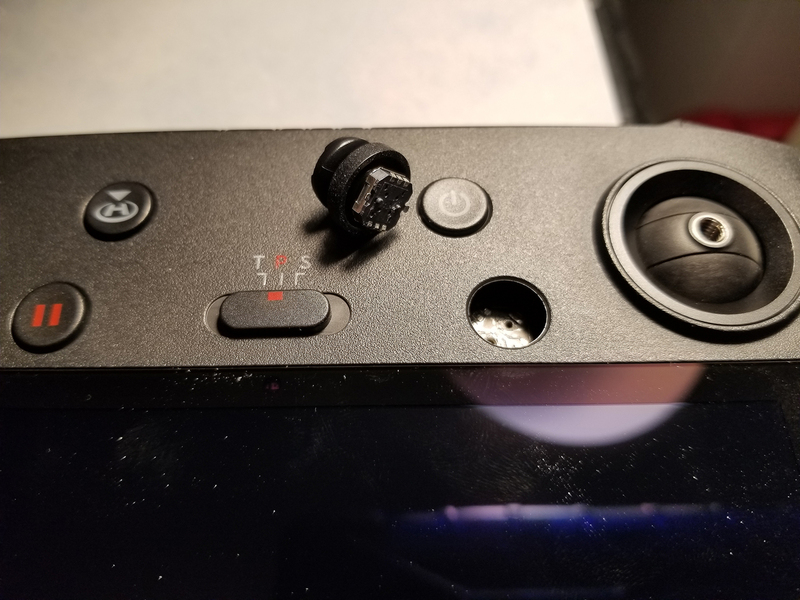 The lady, although clarified it was the 5D button, not the joystick, that had this issue， she said it was normal, the 5D button was user detachable. I explained that it was not the case with the 5D button on my original Mavic 2 Pro remote controller. She refused to provide a case number as she thought it was normal, nothing was wrong. I then used online chat to contact another DJI support, provided the picture as shown here. I was told it was not normal, and I needed to send it back. The case number (CAS-2706853-L9Q8Z6) was given to me by this tech support. Two days later, I received a UPS shippling label, in which, it stated the controller as Mavic 2 Pro controller priced at $379, not Smart Controller with value of $650. The Smart Controller was ordered on Jan 19th, received on Jan 24th, case# created less than two hours after I received the delivery. I&apos;m flying to Calgary on Feb 6th, then to Lofoten, Norway, and Iceland for photography trips. I really worried I won&apos;t be able to receive the replacement before my flight. As weather is cold, my phone wont last more than a few minutes when connected to original controller. I&apos;m willing to order another Smart Controller immediately and send the defective one back for refund. Hope you can help me with this. I understand your situation and very sorry for the inconvenience, Henry. For your case, it is recommended to send the unit in for replacement. Regarding the issues of shipping label and phone communication, we&apos;ll forward to the management to investigate, they will contact you during the working time soon. Hope we can figure this out timely. Your request has been forwarded to the designated team for better assistance, they will review and contact you soon. Appreciate your support and patience. Thank you so much Susan. I was able to change from replacement to refund, so that I could order another one immediately without waiting for the return got delivered to you. But guess what, Smart Controller is out of stock on your online store! Guess I will have to use my cell phone with original controller. Hopefully it won&apos;t be too cold and my phone will last long enough for my photo sessions. But thank you again for the help! Glad to know everything turns out to be great. Please leave your email in the Smart Controller purchase page and we will send you a notification as soon as we have the item in stock. Hi Susan, Sorry for bringing up this case again. As you may remember , I asked for refund instead of exchange, and you helped me with the request. I was given promise that I would get refund after I returned product. Now that it has been three weeks after I sent back the defective smart controller. (Two weeks after I got the return received notice from DJI). I still didn&apos;t hear anything from DJI. I followed up twice but only got reply stating it would take longer in order for "proper" resolution to be given. 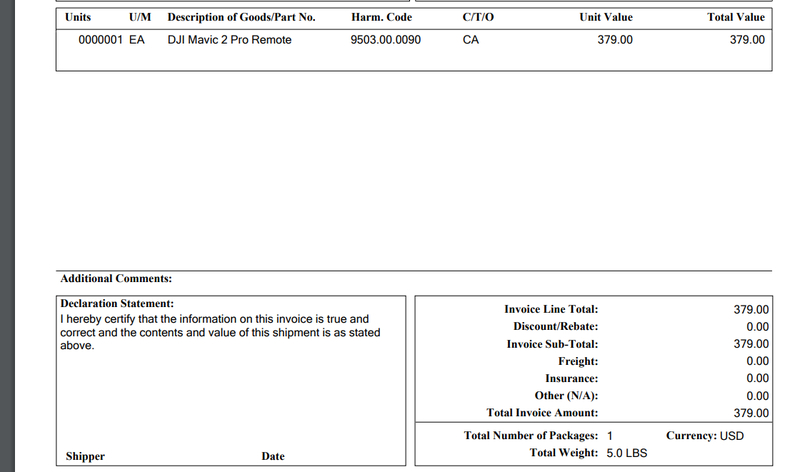 The resolution, as I asked and agreed by DJI support Dept, was refund. Why there is other "proper" resolution? Why it take so long? Would you mind following up for me? Thanks a lot! Received with thanks! I&apos;ve coordinated the designated team, they have submitted the refund request for you, and the refund will be arranged soon. I&apos;ll keep an eye on this as well. Hi there, the refund has been processed at our end, it may take some time to arrive at your account, please keep an eye on your account for the arrival information, thanks!